There is a woman who was the original inspiration for featuring Dragon Slayers on my blog. I debated for months whether I dared ask to tell her story. Then a remarkable thing happened - she contacted me on a completely different matter. I seized the opportunity and begged for permission. As I began writing, I realized the story is too big for one post. Today's post features Briana and her youngest daughter, Kate. The story of her older daughters - "Elena and Lily, Dragon Slayer Sisters" - will be featured in September. I don't have the space here to relate Briana's experience in its entirety. She states it so beautifully in her own blog here ("Part one"), here ("Part two"), and here ("The morning after") if you would like to read more. After months of planning the perfect home birth, Briana went to church on Sunday, August 4th, 2013. Partway through the meetings, she began having regular contractions. With excitement, she told her husband, Eric, after church and they began preparations - timing contractions, cleaning the house, etc. - while their two daughters, Elena and Lily, took a nap. One last pregnancy photo. Briana is beaming in anticipation. 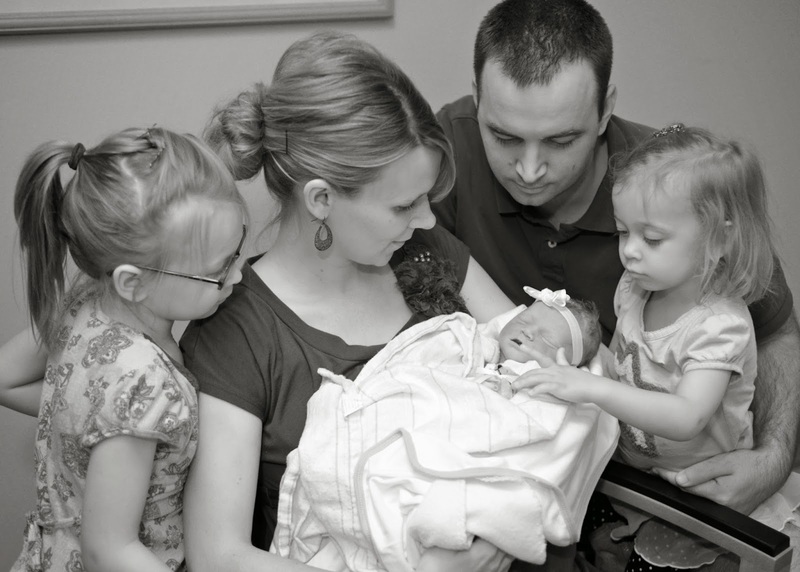 "We seized the quiet, peaceful time to have Eric give me a blessing for labor and delivery. It was beautiful and strengthening to my mind, body, and spirit as I thought about the day ahead. Then we puttered around the house - ate a little snack, texted family and friends to let them know it was baby day, talked to [my sister-in-law] for a bit when she stopped by to give us some things, and organized a few more things. It was lovely. There was a calm, joyous, sacred feeling in the air. Just what I had imagined it would be like - us in our comfy, safe home doing whatever we wanted. It really was appropriate that we had our first homebirth on a Sunday afternoon. I'm quite a homebody at heart and one of my favorite times of the whole week is Sunday afternoon when things are quiet and slow and we're tucked in our little house together as a family. It was idyllic." "The next hour and a half was beautiful. Only dim light filtering through the blinds illuminated our room, the rain tracks trickled on in the background, and the fan kept a light breeze directed at us. It was just cozy feeling enough to want to be tucked under the covers- even in August in Arizona!. There's nothing like being tucked in the covers when it feels and sounds like a rainstorm is coming down outside! We lay there together, alternating between snuggling and looking at each other, holding hands in our carefully prepared, safe nest of a bedroom. And then we did one of my favorite 'us' past times - we talked and talked and talked. One of the first things both Eric and I noted loving about each other way back when we were first dating was our ability to talk for hours easily and comfortably. That's one of the ways I knew we would be good companions. I'd never talked like that with anyone in my life. And as we lay there laboring our third child into the world, we talked. About what was coming, about how awesome having a baby at home was, and anything else that came to mind. I'd pause for a contraction, closing my eyes and breathing deep and he'd time them, and then we'd resume our conversation. Sometimes we'd take a break to text people with updates on how things were going. Other times, Eric would go into the kitchen and return with ice water or a snack to offer me. I love my husband. He is so sensitive and thoughtful. He always knows how to read the moment and makes me feel so safe and loved. With him I feel like I can do anything." But Briana knew something was wrong, even if she didn't realize it at the time. "Towards the end of that hour and a half, I noticed that my contractions had slowed a bit to more like five minutes apart. Hmmm... were things stalling out? I had read countless birth stories where it seemed like labor was starting only to stop (especially when laying down like I had been doing for the last little while) and go on hold for a few days. Darn it.... that would be so disappointing. We were all geared up and ready to have our baby!" The midwife came soon afterwards and checked on Briana's progress. When she checked for the baby's heartbeat, it was elusive. Too elusive. "[The midwife] looked up at me and said quietly, but intensely, 'It shouldn't be taking me this long to find your baby's heartbeat.' I nodded and was thinking, This can't be happening. Not after everything we've been through. Is this really happening?" Briana and Eric prepared to go to the hospital. As they were hurrying out the door, the midwife stopped Eric and said, "This is not an emergency. Please drive safely." At the hospital, an ultrasound was done. "I breathed through a few contractions silently and looked back and forth between the doctor's face, the ceiling, and Eric's face. Any minute, I was sure the doctor would speak up and say, 'There's a problem of some sort, but she's still here and we can save her. It'll just require a little shifting of plans.' Any second now... I scanned the faces in the room again to try and get some information and caught sight of Stephanie crying and mouthing, 'I'm sorry' to Eric. Why was she doing that? Ok, what's the game plan guys? What do we need to do next? For some reason, I was still shielding myself with denial and clinging to hope that there could be a happy ending. "Finally, the doctor turned towards Eric and I and spoke up, his voice tinged with emotion. He was very kind and gentle and extremely reluctant as he explained that our baby had passed away." Months of planning, hoping, dreaming...dashed in a moment. 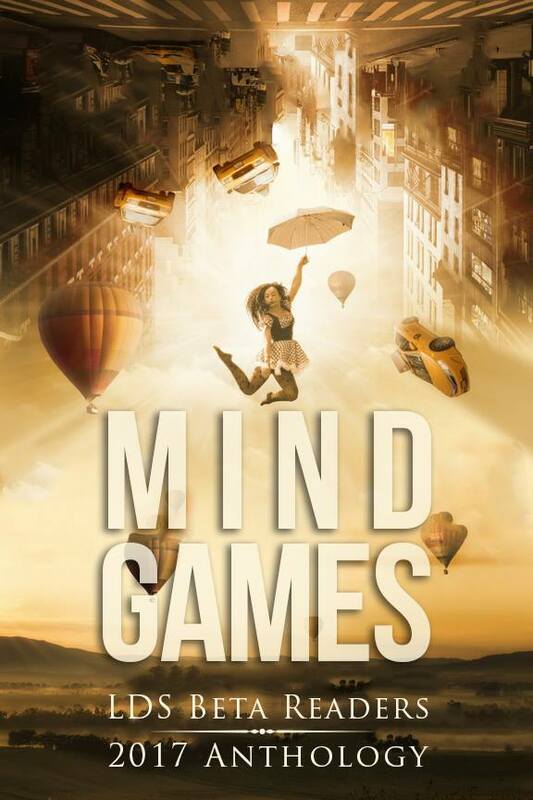 "Eric nodded and then began to cry again, 'I just don't want you to have to do this. I don't want you to be in pain.'" Time was not on their side. Briana's labor had progressed enough, she never made it home to deliver their sweet angel. The doctor and nurses stood aside and let Briana have her home birth in a "borrowed bed". 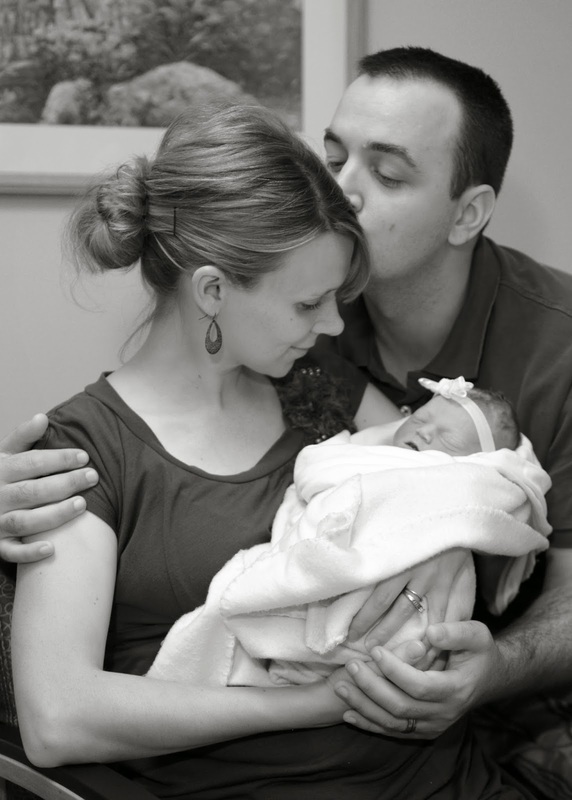 "We spent about two hours holding and loving on Kate. We opened her eyes and she had delightful blue eyes with just a tinge of brown around them. Her hair was considerably darker and there was more of it than with Elena or Lily. I wonder what color her eyes would have turned out like - piercing blue like Elena's or blue that faded to brownish-grey like Lily's? She definitely had the same cheeks and lips as Elena and Lily. And she had very long toes and fingers. The pictures don't do them justice! And mostly, she was just incredibly perfect." The midwife stated what Briana couldn't. "There was no reason Kate died. That’s the hardest part for most people to accept – there must be a reason, an explanation. No, the cord wasn’t wrapped around her neck, no there was no traumatic event, no there was nothing wrong with her. She was perfect. The only way that I’ve been able to get someone to understand and accept the circumstance of her death is this – it was SIDS, just before birth. There was nothing anyone did to cause it, and there was nothing anyone could have done to prevented it." Briana's faith is awe-inspiring and humbling. "Eric and I have both strongly felt that there was absolutely nothing we did to cause Kate's death and there was nothing we could have done to prevent it. Like, we've had incredibly strong spiritual promptings about that. It was simply not the Lord's plan for her to live a long life on earth with us. We feel that strongly. He knows us, He knows Kate, and He had a plan for her all along." The next morning, with empty arms, Briana and Eric had to break the news to their daughters - Elena and Lily. "I heard Lily as she walked through the door exclaim in quiet wonder, 'Is Kate here?' Elena looked around wide eyed and smiling...Elena and Lily's questions continued. So, Eric began as gently as he could - telling them that at some point before she came out of my tummy, Kate had died. They began to cry as soon as he said the words. I have sat here trying, but I don't have words to illustrate that scene. It was too much. It is too much. I wish we had been able to give them a sister to love on and be with right now." A few hours after Elena and Lily arrived home, they went to meet their baby sister in the hospital. "It was heart wrenching to be there. To struggle through our own pain and then add our pain for Elena and Lily on top of that. But it felt good to have our family of five all together for a few moments. And the girls were so sweet and tender with their sister." "It was difficult to walk myself out to the car and drive to the funeral home. And then difficult to pull myself out of the car. My body seemed to be physically resisting it all. I cried in the lobby after we told the receptionist that we were there to dress our daughter. And it was physically painful to drive away when we finished. "The actual dressing was peaceful, though very hard. The funeral home made me a very sweet necklace with Kate's name on it that was waiting for me when we entered the room. It was nice to have something tangible to leave with after the difficult task of dressing her for burial. And I sure clung to that nameplate around my neck in the days and weeks following. After Kate was dressed we held her for a while. Then we reluctantly said our last private goodbyes and left. How you are supposed to just walk away.... I don't know. It's pretty awful. I'm so grateful for the knowledge I have of eternal families and life after death, but man. Somethings are just really, really hard." Again, I haven't the space to tell it all, but if you would like to read more about the funeral, I've linked it here. "Kate's viewing and funeral was lovely," Briana says. "Everything about the program was perfect - from the music we sang to the speakers." 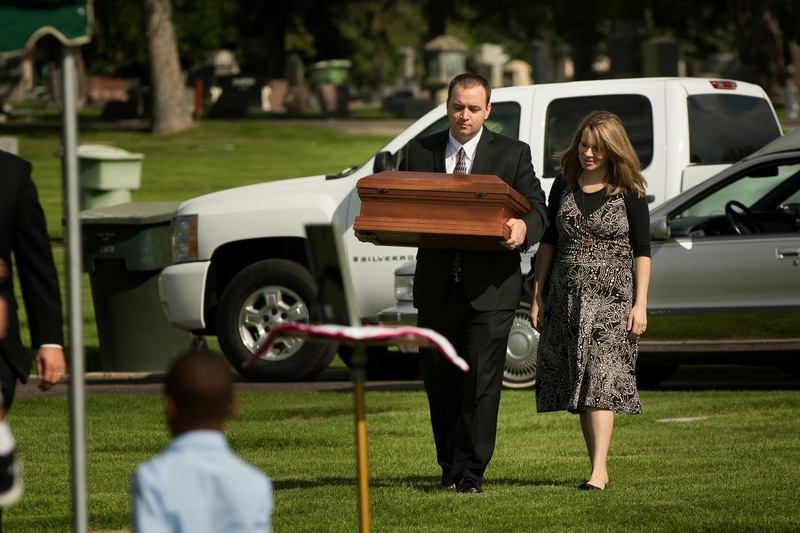 Two days later, they buried their daughter in "The Angel Garden" in the Provo Cemetery in Utah. It broke my heart seeing this. Anyone have a tissue? Grieving with a dear friend. "I have never felt like this - so stripped of all my resources to cope, so broken. I truly feel like I've been brought down to my very core. But I've been intrigued by something I've found there. Along with the darkness, I've also found the core of my faith. And in the process, I think I've learned something about what faith really is. "Faith is the quiet, steady burning thing you find after you've stripped all the other layers away. The red-hot, but silent core under the layers of dirt and green grass and frilly flowers. My faith usually manifests itself above ground with the billowy grass and the blooms. Which is a good type of faith, too. I feel pretty happy and constant, but mostly I just feel. But when life has torn away all the excess layers, and I stand bewildered and feel like there's not much to me, I am still. "And I realize that never have I faltered, never have I not believed. "I know God lives. I know He loves me and that He is still guiding and blessing me ever so patiently and mercifully. (Which is amazing when even I am sick of myself!) I know He has a plan for me and my family and that good things are in store. I know He always hears my prayers. I know those things even when I can't feel them right now. And that is everything to me. "Faith, in it's simplest form, is the bedrock that everything else is built on. When all the other parts of 'me' are stripped away, it is the thing that remains constant and unchanging - that is built into my very existence." "...the Lord gave, and the Lord hath taken away; blessed be the name of the Lord." That, my readers, is a true Dragon Slayer.